Lower Parel - office space for rent in lower parel , Mumbai - Lease Commercial office space in Lower parel mumbai non-sharing basis commercial Property - office spaces on rent in lower parel ( west ), office seekers find more than 150 units for Commercial office spaces-space for lease in lower Parel , Mumbai ( south) Sale / Rent / lease commercial property in lower Parel fully furnished / unfurnished / semi furnished in Mumbai large / small office on lease in mumbai . 2000 sq ft Office space for rent in Lower Parel, Kamala Mills ,Mumbai . 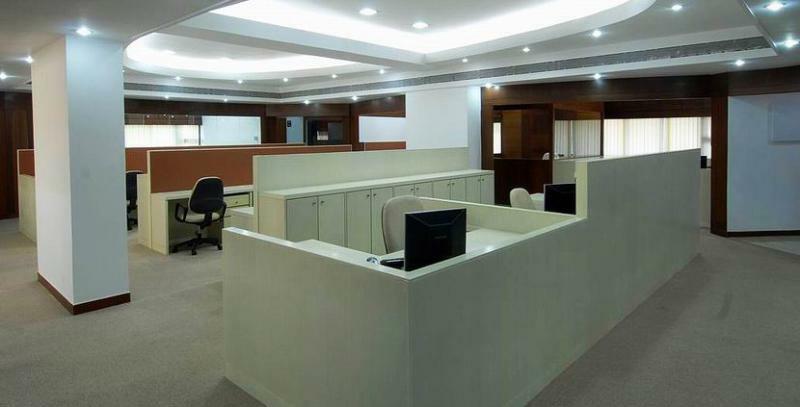 Commercial property in kamla mills for lease , 2000 sq ft commercial office space on lease in lower Parel,office space on rent in Kamala Mills lower parel, very well fully furnished, 95 , work station,8 cabins, 1 conference,1 pantry,3 toilets ,large boss cabin, call for more - Commercial office space on rent in Lower parel , office spaces for rent in Lower parel -MumbaiCall NowImmediate Deal Assured !!! +91 8108098760 Unit options Avaiable !!! Rent office space in lower parel ,in Lodha Supremus. Lease Commercial Office space in lower parel , lodha Supremus ,Mumbai , 2300 sq ft unfurnished office space for lease in Lodha Supremus lower parel ,﻿with 3 car park - Rs 160 per sq ft on as it were is basison a higer floor open view. 823 sq ft Office space for rent in Lower Parel, Mumbai in﻿Lodha supremus office space on rent in lodha supremus, Lower parel,unfurnished , lower parel Commercial office spaces on rent in lodha supremus ,new building, galss facade - close to railway station - Lower parel .lease this commercial property / building in Lodha supremus ,has Power Back-up , centrally Air Conditioned ,Lifts ,High Speed Internet , 24x7 Security, Fire Alarm ,Reserved Parking, banking and atm’s a blink away / food courts etc location : Lower parel Mumbai ﻿. 840 sq. ft Rent commercial office space in Lower Parel, Mumbai. 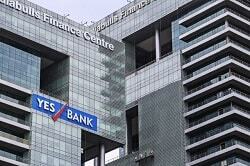 Lodha Supremus, commercial office space for rent in Lodha Supremus lower Parel ,1840 sq. ft carpet @ Rs 155 per sq. ft currently unfurnished , lease this small office space in Lodha supremus lower parel, lease this commercial property /building in Lodha Supremus ,has Power Back-up , centrally Air Conditioned ,Lifts ,High Speed Internet , 24x7 Security, Fire Alarm ,Reserved Parking, banking and atm’s a blink away / food courts etc location : Lower Parel. 1350 sq ft in Marathon ﻿Rent office space in Lower Parel , Mumbai in Marathon Icon - Lease Commercial Office space in Lower Parel,﻿ lease/rent commercial office space in Marathon Icon lower parel.currently semi furnished or fully furnished - lower parel .1350 sq ft bup - rentals RS 160 per sq ft - area close to railway station glass facade building , a/c lobby etc Office Space on lease in Lower Parel , commercial office spaces for rent in Lower parel , South Mumbai .﻿Many options available !!! Book officespace for lease on line in Lower parel. Commercial Property in L0wer parel ,fully furnished ﻿Rent commercial offices space in Lower Parel in kamal city, ( kamal Mills ) lower parel ,west fully furnished in commercial building premises, 4100 sq ft Rs 7,00,000/- lakhs at lower parel ( west),entire floor area - having large parking area , Atms REsturants -food couts close to railway station lower parel Office for lease / sale commercial office spaces on rent in Lower parel ,South Mumbai . office is well furnished with all the requirements with air conditioner /kitchen / pantry workstations cabins Office Space on lease in Lower Parel , commercial office spaces for rent in Lower parel , South Mumbai ﻿ Call Now immediate Deal Assured + 91 81080987603200 sq. ft.
office space for rent in ﻿Lower Parel, in Peninsula Corporate Park. office space on rent in ﻿Lower Parel, in One Indiabulls Center Hub. office space for rent in ﻿Lower Parel, in Indiabulls Finance Center. office space on rent in Lower-Parel, in﻿ Marathon icon. office space for rent in Lower-Parel, in﻿ Marathon Innova. office space for rent in Lower-Parel, in﻿ Marathon futurex. office space on rent in Lower-Parel, in﻿ Peninsula Business park. office space for rent in Lower-Parel in﻿ Ceejay House. office space for rent in P﻿oonam chambers worli. office space on rent in Lower-Parel in M﻿arathon Nextgen innova. office space for rent in Lower-Parel, in﻿ Sunshine Towers dadar﻿. 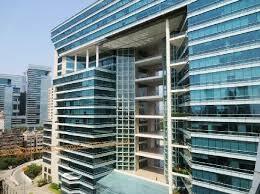 office space for rent in Lower-Parel, in﻿ Lodha supremus. ﻿Glass facade building in Lower Parel ﻿Rent commercial office space in Lower Parel, Mumbai Glass facade building in Lower Parel Semi furnished commercial property omn lease in lower parel, with 1 car park 1330 sq.ft, 960 sq.ft carpet 1.90 lac fully furnished Office Space for lease in Lower Parel , commercial office spaces on rent in Lower parel , South Mumbai .Unit options Avaiable !!! Fully furnished Commercial office space for rent in Lower.fully furnished – lease office space in lower Parel, this office / space on rent in Lower Parel ,contains a carpet area of 3,875 sq. feet and a built-up space of 4,770 sq. feet and contains a terrace additionally - office space for rent in Lower Parel in accessible. well furnished with 42 workstations, 6 cabins, a conference room and its own private lavatory. full time security, two lifts reserved car parking Moreover, the commercial property is well connected to main roads and is within a brief turn back from Lower Parel Station commercial proeprty for rent in lower parel -Mumbai Unit options available !!! Small office space for rent in lower parel ,Mumbai. Lease commercial office in Lower parel for Rent MumbaiFully furnished office at Peninsula Corporate Park lower Parel west Mumbai a 6500 sq. fs office in lower Parel for lease 6500 sq. fs @Rs 12, 40,000 Immediate/Ready to move having workstation conference room reception area, washroom, club hose, recreation area banks food courts 24 x7 security parking lot also Close to railway station most wanted property in lower Parel west Mumbai call now!!! Commercial offices / commercial space on rent in lower Parel west Mumbai / commercial leasing in Peninsula Corporate Park lower Parel west Mumbai ﻿Call Now Immediate Deal Assured !!! +91 8108098760 Unit options Avaiable !!! Economicial Office Spaces in Lower Parel for lease. 1350 sq ft Lease office space in lower parel,Mumbai . Rent Office Spaces in Lower Parel, ﻿fully furnished office space in phionex house for lease , office spaces for rent lower parel, sq ft area 1350 with work stations, cabins, meeting room ,conference pantry ,washooms etc Rs 150/- per sq ft going very cheap Office Space for lease in Lower Parel , commercial office spaces for rent in Lower parel , South Mumbai . office in Lower Parel - Mumbai . Rent commercial / office space in Lower Parel, 24,000 sq.ft Built up officeSpaces on lease in Peninsula Business Park, Lower Parel ,currently bare shell condition with 30 Car Parks spaces,Rent per month Rs 175 per sq. ft. - Rent office space inPeninsula Business Park, ﻿Lower Parel,Mumbai Lease Commercial Office spaces in Lower Parel ( West ) . 4326 sq ft bup area office space / lease rent commercial property in Lower Parel, in A grade commercial building unfurnished near India bulls finance center - Grande cool lobby with food court - this office space is for lease in Lower Parel, which has 2 side open view - ample sunlight - a car park zone - top the line security - a minute to railway station excellent infrastrtucer - currently filled with a large MNC companies - owner willing to get it furnished RS 180 per sq. ft. ﻿CALL FOR UNIT OPTIONS !!! ﻿MANY MORE OPTIONS 220 Units Available !!! 4267 sq. ft. Commercial office space for rent in Lower Parel (west), Mumbai. Naman-midtown ﻿Commercial Property in Lower Parel ,Naman-Midtown.Mumbai - office space for lease in Naman-midtown,﻿Lower Parel,﻿900 sq. ft. bup area small office space in Naman Midtown for lease in commercial building,having workstation, cabins, conference room, Washroom, reception area, car park area, 24x7 security, cool lobby, Close to railway station, ATM -restaurants - food courts - Banks etc find online office space for rent in Naman-midtown ,Lower parel. office space for Rent in kamala mills , lower parel in commercial building ,2340 sq ft RS 150 per sq ft .opp lodha supremus lower parel . Lower Parel is found in South city district Maharashtra. It was industrial location earlier having major textile mills, with major mills turning down it transformation into a commercial zone from the late 1990? s. throughout 2008-12, Lower Parel alone saw nine major commercial buildings being started on nearly eight million sq. feet of workplace area. presently is additionally termed as a business hub with fashionable infrastructure huge or tiny size (workplace spaces) corporations have opted for lower Parel to deal with it on a salutation, being centrally situated, having excess to south city. the simplest a part of lower Parel it offers all quite business properties, workplace area / retailers / panopticon / restaurants areas / automobile showrooms / manufactory / storage / co-sharing area / glass facade buildings / traditional previous strutted building / it parks / rather more. The ongoing rates are around Rs a hundred thirty /- to Rs a hundred and eighty per sq. ft. and on top of that is extremely particle and possible/feasible rate for south Mumbai location. Being centrally situated get straightforward excess to western suburbs and south city. Lower Parel is much cheap up to now because the sq. feet rate goes for business workplace areas on lease/ rent in Lower Parel as compared to Bkc. several choices are accessible in Lower Parel for business leasing workplace areas could or not it's an industrial unit or associate degree workplace area during a business building, storage choices are sensible in Lower Parel .We have numerous choices for business property on lease in Lower Parel, to call a couple of .i.e. 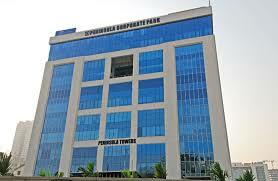 OPTIONS : PENINSULA CORPORATE PARK || ONE INDIA BULLS FINANCIAL CENTER || INDIA BULLS FINANCE CENTER || MARATHON ICON || MARATHON INNOVA || MARATHON FUTUREX || PENINSULA BUSINESS PARK || SUNSHINE TOWER || PHOENIX HOUSE || LODHA SUPREMUS || PENINSULA CENTER || KAMALA MILLS COMPOUND || TRADE WORLD || NAMAN MIDTOWN FOR LEASE / SALE IN LOWER PAREL Etc . These are the recognized building in Lower Parel except for these and others, there are industrial commercial building that are used as workplace areas/office space | for back offices or decision centers or a corporate office, being extremely reasonable on price per sq. ft. area. View more options ﻿in lower Parel for commercial office spaces on rent in lower parel , Mumbai India. as off 24/05/2018. office space for lease / sale in Lower parel in Lodha Supremus / kamala mills / Naman Midtown / Indiabulls / one India bulls / Marathon icon / Marathon innova / sunshine towers / Phoenix house / Peninsula Business Park / Peninsula center / kamala mills compound / Mumbai / India Maharashtra.